The Carlisle Area Dog Parks Association (CADPA) is a group of local citizens who have created a dog park at Shaffer Park in Carlisle, Pennsylvania. Our goal is to maintain and improve this wholly member-funded park. 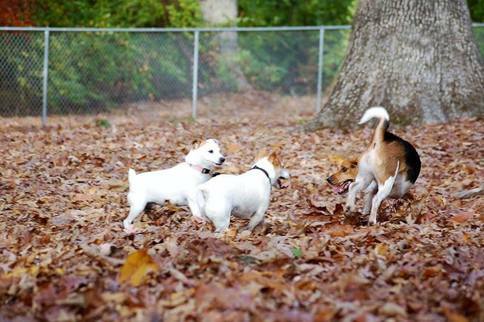 A dog park provides a safe, fenced-in area for people to legally exercise their dogs off leash, and enjoy the company of other dog owners. Research shows that both dog owners and their canine companions are happier and healthier in communities that have dog parks. The CADPA Board of Directors meets monthly . Call 717-609-4533 or email us at cadpa2017@gmail.com for more information.